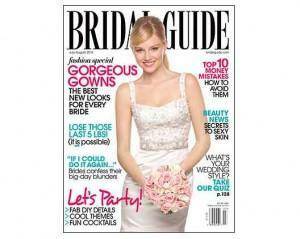 Home / Freebies / Free Stuff Online / Free Samples / 2 Year Free Subscription to Bridal Guide Magazine! Right now you can request a Free Subscription to Bridal Guide Magazine! I’ve found over the years that some of the best Party Planning tips are in wedding magazines, even if you aren’t planning a wedding you can get some great ideas from magazines like this, especially when they are talking about Receptions and Party Planning Ideas!